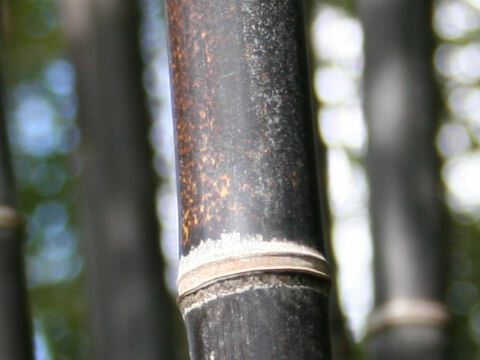 Black bamboo (Phyllostachys nigra) belongs to the Poaceae (the Grass family). 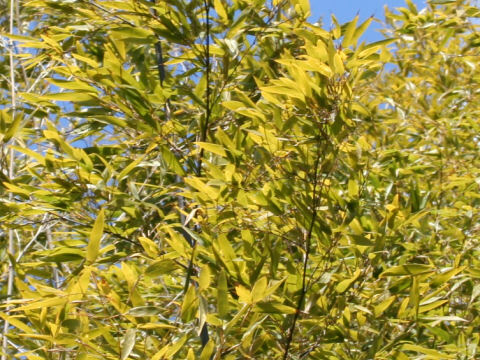 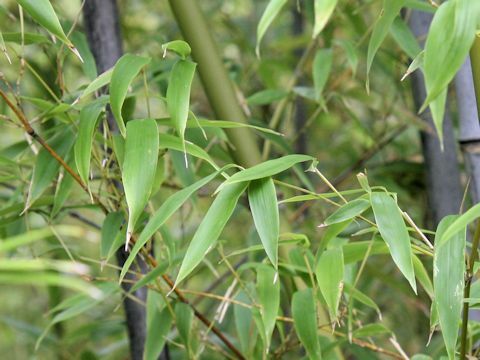 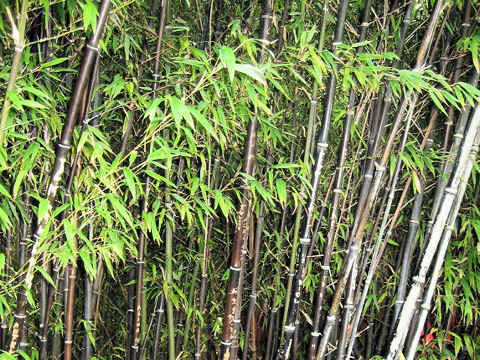 It is an evergreen bamboo that is native from the reach of Yellow River south to central and south China. 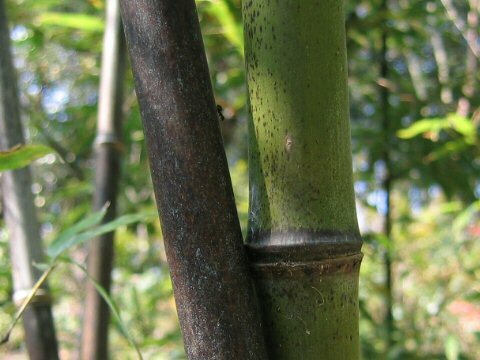 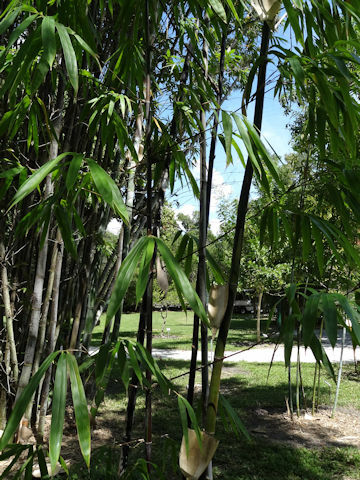 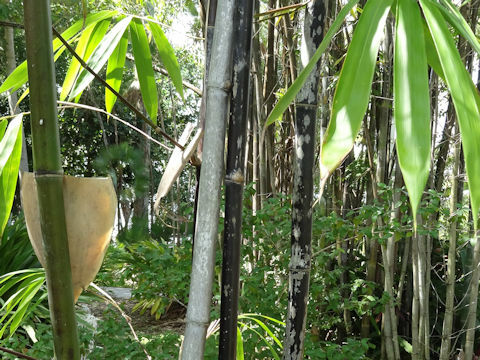 The culms are 2-3 cm in diameter and can reach 3-5 m in height. 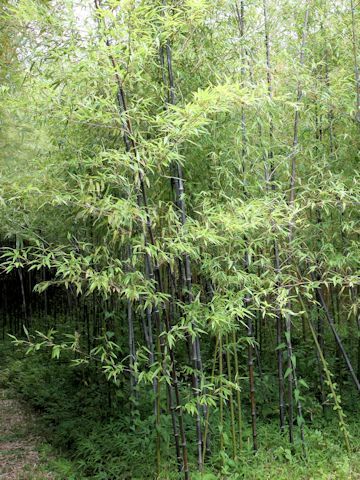 They are green at beginning, turn blackish gradually after summer and turn intense black after 2 years. 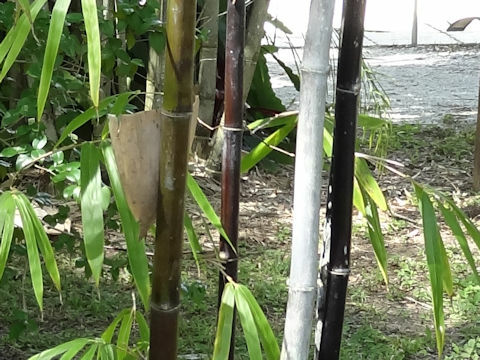 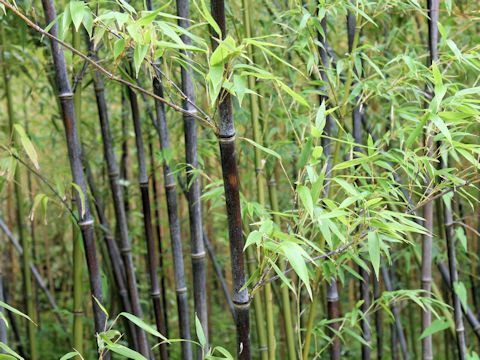 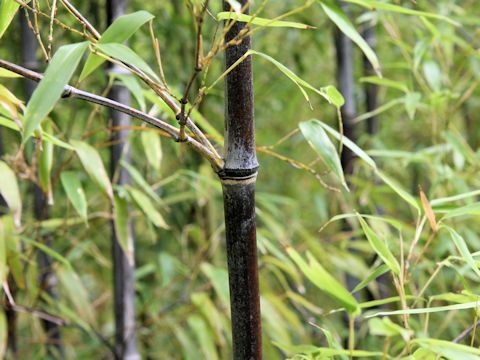 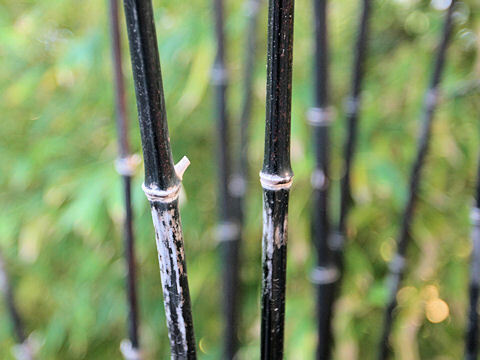 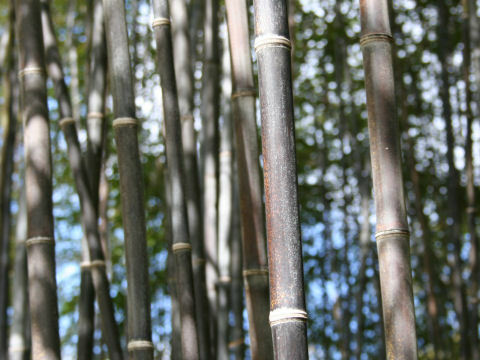 Black bamboo is planted in gardens and used for architectures or figurations.